Rebecca's Photo is coming soon... But you can still learn a little about her here! Rebecca Zambrano has been teaching meditations practices for the past eight years in colleges, VA hospitals, public health venues, churches and hospice care centers. Throughout that time she has studied with amazing teachers including Richard Miller, Anne Douglas and Stephanie Lopez. 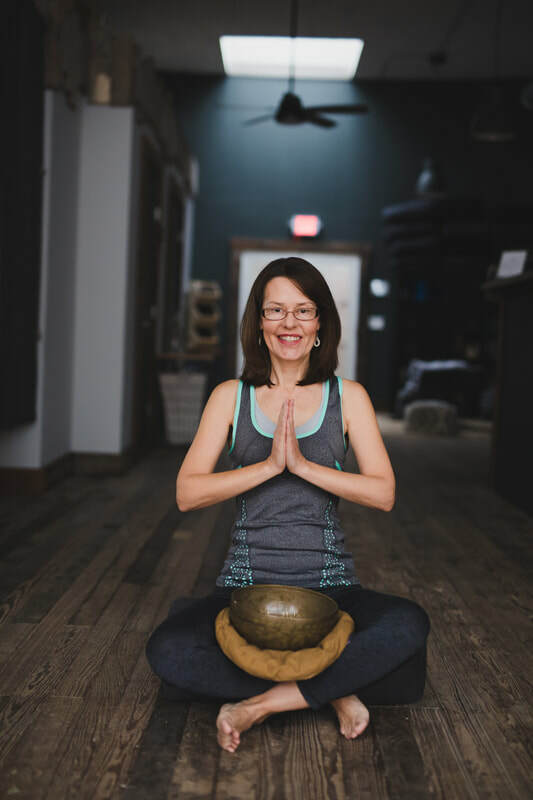 Chronic pain and illness are what brought Rebecca to yoga and meditation; deep, lasting healing is what has kept her practicing. Rebecca's parents were her first yoga teachers, though they never attended a yoga class. Both of them were warriors in the Civil Rights movement of the 1960s. While Rebecca grew up in many places throughout the United States and abroad, moving so many times, she has learned that laughter is a universal language and there are thousands of different—and good-- ways to raise a child, be a friend and live your passion. Rebecca is also a warrior for truth because she strongly believes that truth sets us free to live vibrantly and with authenticity. “You shall know the truth and the truth shall set you free.” When we practice yoga over time, we come to understand that at the deepest level, our practice is teaching us to know the truth of who we are in every moment. This allows us to live with joy, creativity, wisdom, and confidence even in the midst of life’s challenges. Rebecca not only believes this, but she encourage others to be brave by noticing how you honestly feel in any given moment, then finding a way to honor the truth you discover. This takes tremendous courage because honoring our truths requires us to transform our lives and relationships. We no longer act out of fear. This way of life is both simple and incredibly challenging.